For all ye fence-sitters who are debating the merits or otherwise of the Dual Degree programme, before you head to online forums in search of answers, find out what it takes. Straight from the horse’s mouth. In conversation with B.Tech, MS by Research student Dhruv Khattar. Dhruv Khattar’s grisly beard is in sharp contrast with his soft-spoken nature. And it is while chatting with the 23-year-old that you realise he has shattered several other stereotypes too. Like the one about the duration of the Dual Degree programme. It is advertised as a 5-year course and he has the unique distinction of having completed it in a record 4.5 years, with around 12 publications to his credit. Like most other students who gained admission into IIITH straight out of school, Dhruv didn’t have a clue either as to what research entailed. “Well, I was interested in Computers, just like everyone else”, he states. Wanting to do something “different” however, he opted for the B.Tech and MS by Research programme. And well-meaning seniors who told him it could go on for 6 to 7 years didn’t deter him. “Unlike a regular B.Tech programme, in this stream, we get to choose an area of research we are interested in,” says Dhruv. Typically students are briefed about the various research centres at the end of the second year on campus and they get to choose a lab of their own choice. Dhruv chose the Information Retrieval and Extraction Lab (IREL) because he was drawn towards the textual aspect of machine learning. Once hooked onto the research bug, he says, “I wanted to build something new so that people could gain from it”. His MS thesis is on Neural Approaches To Computational Journalism. And he has worked on related areas from news recommendations and click bait detection to fake news detection. 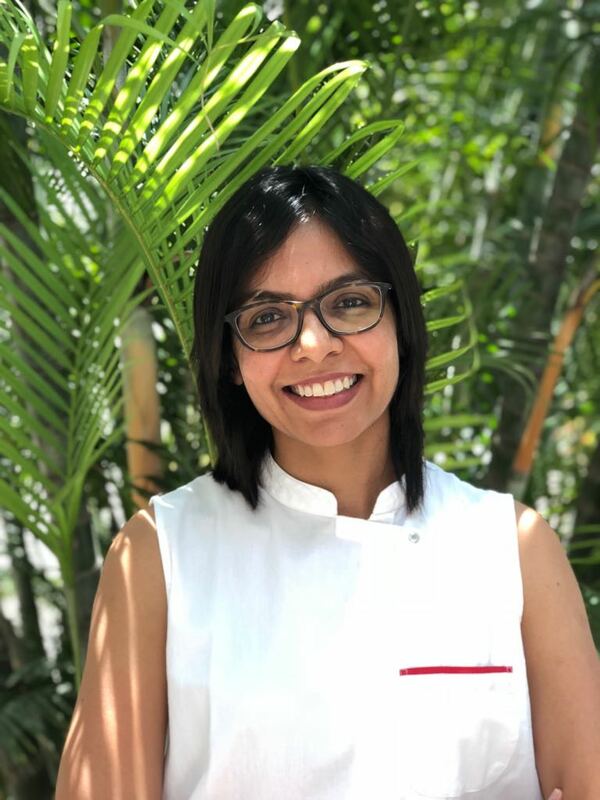 Dhruv has also been part of the team working on the backend development of the Fake-o-Meter, a content authentication solution launched by the IREL as part of the institute-industry collaboration. Apart from the theoretical aspect of his paper, the difference between the tool and his research work lies in the fact that the latter takes into account not just online textual information but the visual accompanying it as well. A mandatory requirement for speedy completion of the course and consequent awarding of the Master’s degree is the necessary publication of a research paper or two. Dhruv Khattar has 12 of them to his credit!. He attributes it to his advisor, Dr. Vasudeva Varma, Prof and Dean of R&D, as well as his co-advisor, Dr. Manish Gupta from Microsoft who is an adjunct faculty at the institute. “It is thanks to their encouragement and support that I could pull it off,” he says modestly. He also acknowledges the role played by his senior in the (IRE) lab who initiated him into the realm of research publications. 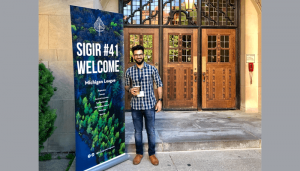 Some of these acclaimed papers have been presented at leading international conferences such as the SIGIR- 2018 which is the Association for Computing Machinery’s Special Interest Group on Information Retrieval in Michigan, and the ACM International Conference on Information and Knowledge Management (CIKM) held in Italy last year. 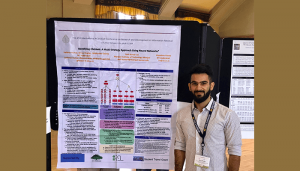 Dhruv is also all set to present one of his papers at The Web Conference 2019 (WWW2019) in San Francisco this May. “IIIT Hyderabad’s Dual Degree programs provide best possible opportunities, exposure and highest value to the students. In fact, the number of students completing the dual degree program before five years is increasing. Dhruv is a shining example of this trend and he demonstrated how starting early and having a focused effort ensures success”, says Prof Vasudeva Varma, Dean (RnD), IIITH. Amused at being prodded to share his winning formula, Dhruv at first smiles and shrugs. “I was not only helped immensely by my senior and advisors, but I was also given a chance to look into every domain and pick what really interested me,” says Dhruv reinforcing how passion is fuelled by interest. At IIITH, all mandatory courses are wrapped up by the end of the 4th year freeing one up to focus on research in the 5th year. Apart from the first year where he was a Google Summer of Code (GSoc) intern, Dhruv plunged into research every semester-break when the majority of the institute interns at various companies. At the end of his coursework, he interned at Adobe. While working there that summer, he filed a patent for proposing a robust system for training strategies on adversarial attacks. For other students, Dhruv offers the following words of advice: “Be focused. Read relevant research papers, zero in on what is missing there, thus adding novelty to your own research work”. He emphasizes that one needs to ignore distractions and potential stress factors such as paper rejections, comments from peers about the seemingly long number of years it’ll take to graduate and so on. “I have a lot of spare time”, declares Dhruv. Certainly not something you’d expect from a Dual Degree student. And especially from one who has been busy churning out research papers. Shattering the image of a nerd buried in study, Dhruv says he loves to party and goes out frequently with friends. That said, he is something of a gym rat. And does not fail to wake up at the crack of dawn just to pump some iron. “I don’t like to miss a day’s workout,” he affirms. 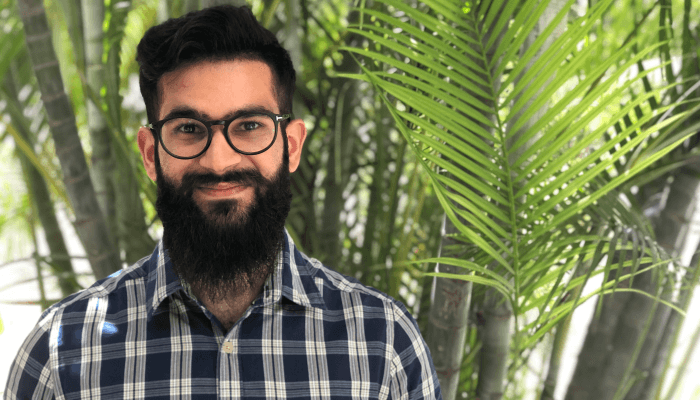 Before embarking on his first job at Adobe this June, Dhruv signs off by extolling the strong research focus and exposure the programme offers saying he would recommend it to anyone with a research bent of mind. Since it is difficult to commit to a research-based programme when just out of school, the institute has a provision to convert a B.Tech degree into a Dual one. And the popularity of the programme shows in the sizeable number of students who undergo that conversion. “In my hostel wing alone, 3 students converted from a B.Tech to a dual programme after working for two semesters under an advisor in an Honors course”, he says. The last date for applying to the programme is March 23rd, 2019. Hurry!